I know we need the rain, and with how dry it has been it sure is nice, but it really cuts into the ride time. This looks like the only day I will be able to ride this week. 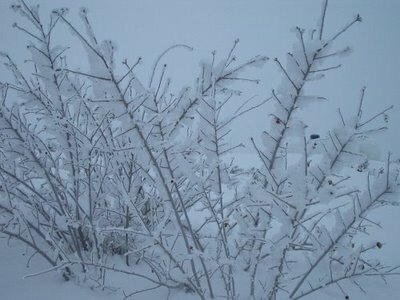 Here is a picture of the hoarfrost from last winter. It won't be long now 'till this is back.